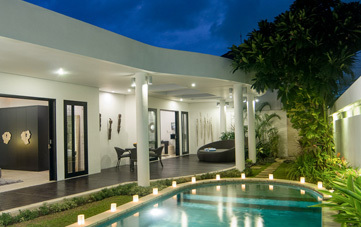 From $ 212 $ 190AUD per night We have direct contracts with most villa owners. We don't add any booking fees. We are 100% transparent with no nasty surprises. 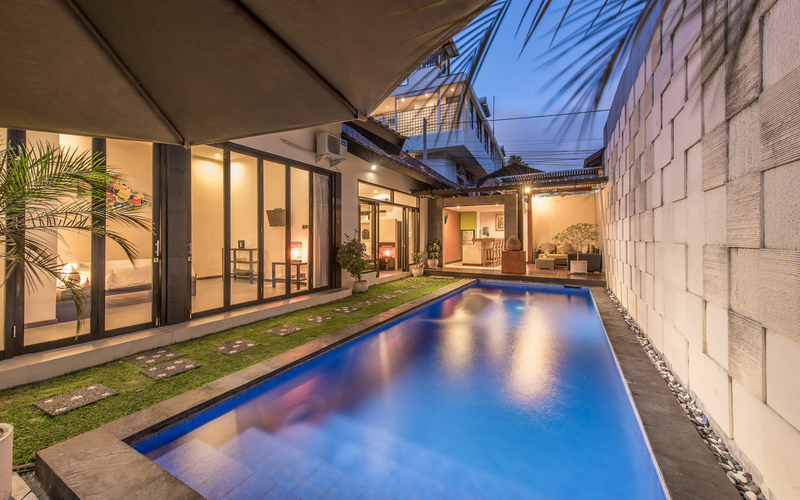 Seminyak is the most popular location for tourists visiting Bali, and the affordable 2 bedroom Seminyak Villa Daria B is right in the heart of Seminyak. 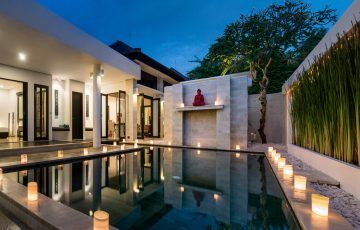 It can accommodate up to 4 guests and is really good value if you have a holiday budget but want to experience some of the many benefits of living in a villa. 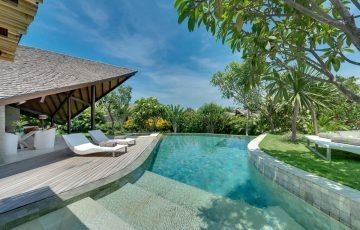 At Villa Daria B you are within walking distance of the most popular restaurants, beach clubs, shops, yoga studios, amazing cafes and boutiques. 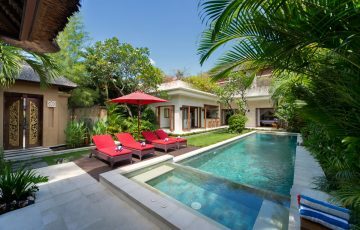 The staff are fantastic with young children and the kids will enjoy the close proximity to Seminyak & Double Six Beach most of all. 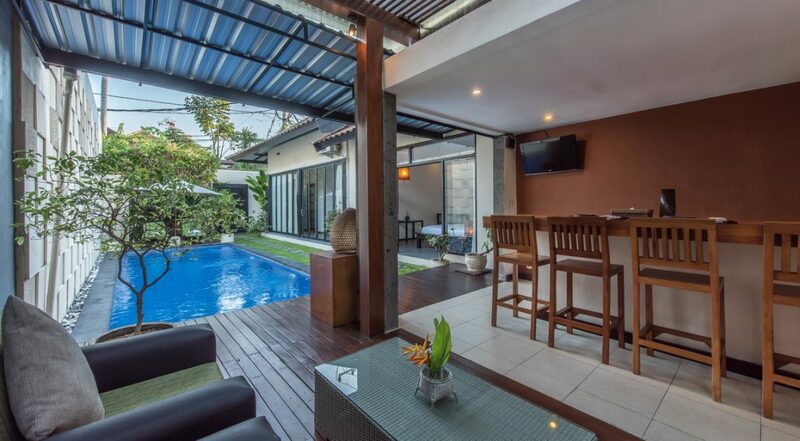 This is one of those budget friendly Seminyak Villas that reflect really good holiday value. 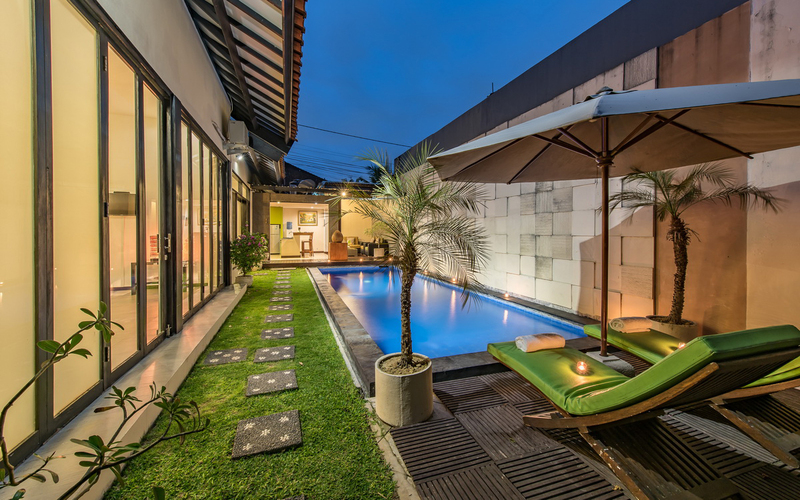 Your private pool is the perfect for you and the kids to relax and really enjoy some quality family time together. No doubt they will be the first ones in the pool each day and probably the last ones to hop out at the end of each day. After a few hours at the beach jumping in here to wash the salt and sand off will be a welcome respite. 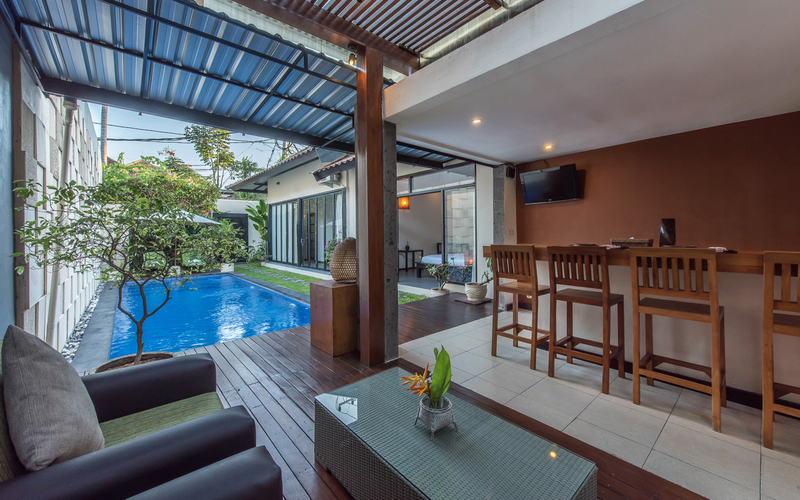 The living area is designed for you to enjoy the open-air tropical ambience, conveniently located at one end of the pool, it offers a communal space to watch some cable TV, maybe some live sport during the day and also enjoy meals and refreshments in between swims. 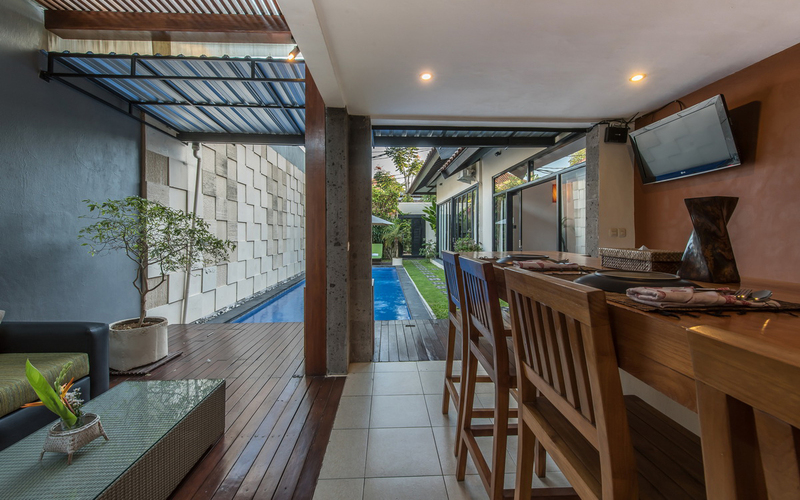 The kitchen is well equipped in case you feel like a spot of cooking at any time. 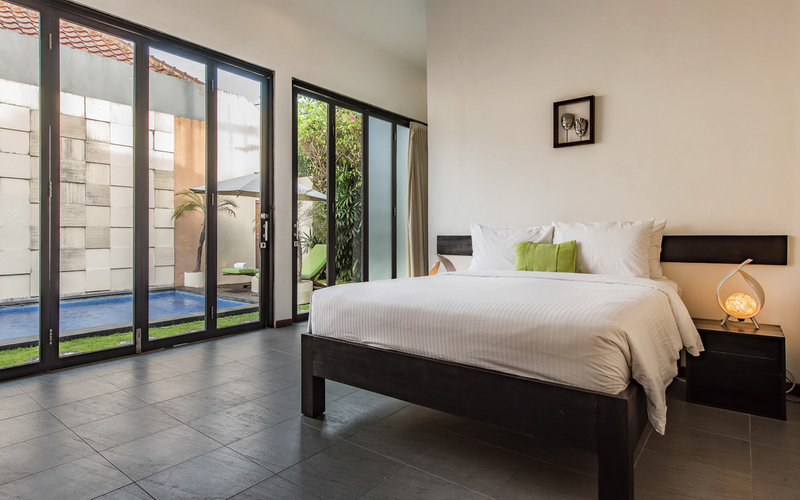 The bedrooms are joined via an interconnecting door so its ideal if travelling with young children. 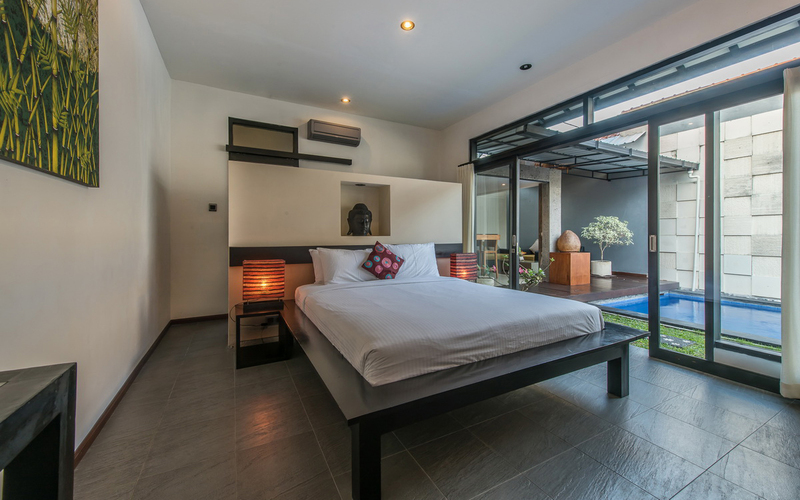 Both of the rooms have comfortable king size beds and you can watch TV here during the day if you prefer in the comfort of air-conditioning. 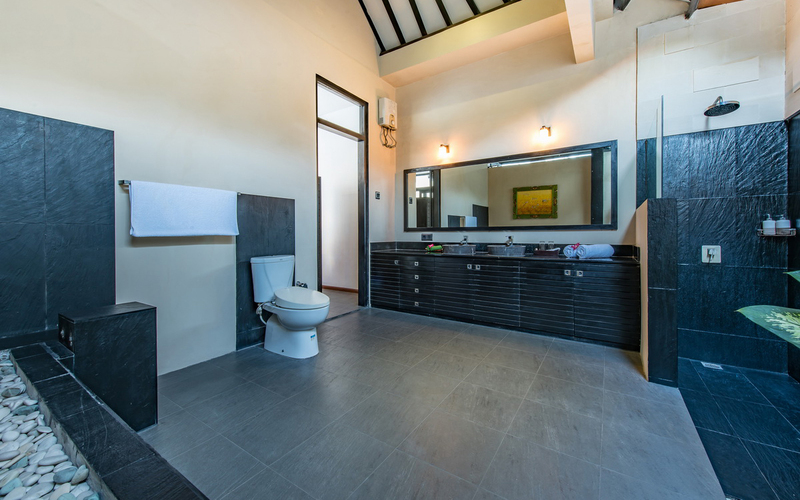 The en-suite bathrooms are modern with twin vanities and monsoon showers. 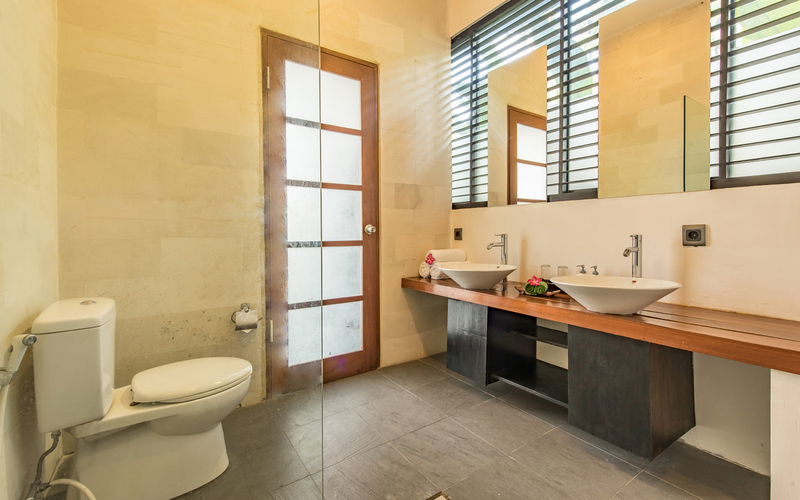 Expect to be well taken care of by the friendly staff, the villa will be cleaned daily at a time that suits after you have enjoyed your complimentary daily breakfast. If you need a babysitter or some in house pampering spa services the staff will happily arrange it all. There is security as well for complete peace of mind. 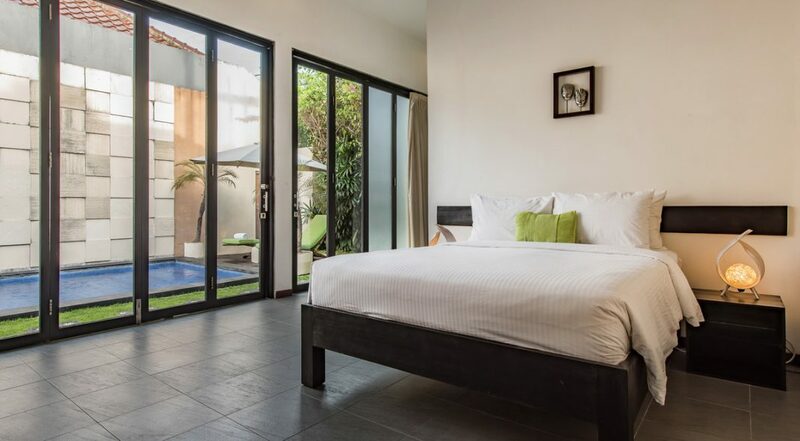 Just a 5 min walk to Jalan Oberoi will bring you to a host of excellent dining options including Rumors, Ultimo, Bistro Batu Kali, Soho family restaurant, Nirwana Bar and Mykonos for authentic Greek food. If mum and dad want a special night out try Ku De Ta, La Lucciola or the newest kid on the block, Ginger Moon by famed chef Dean Keddell. If you want to keep the kids happy take them to Waterbom park for the day where there are waterslides and loads of things for them to do. 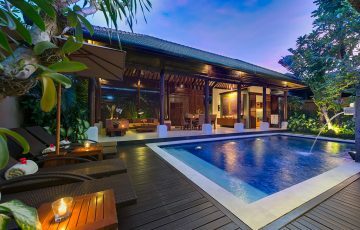 For other Bali Villas in the Seminyak area & in the same price bracket please get in touch with our reservation team. 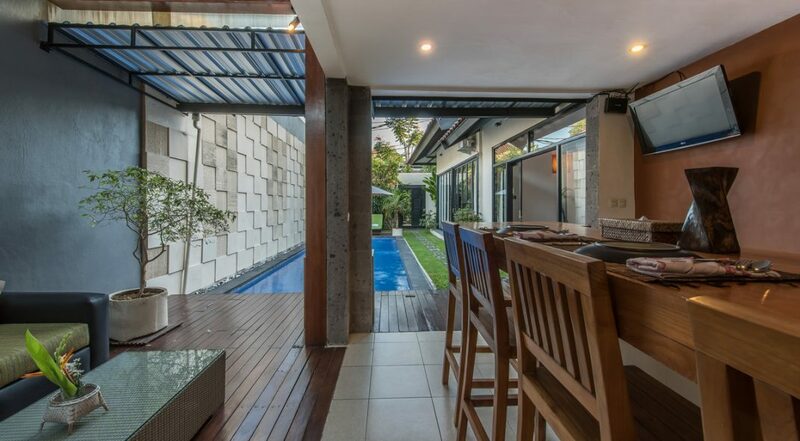 This is a popular Seminyak holiday villa so if your planning a trip to Bali, especially during the Australian school or public holidays please book Villa Daria B well in advance. 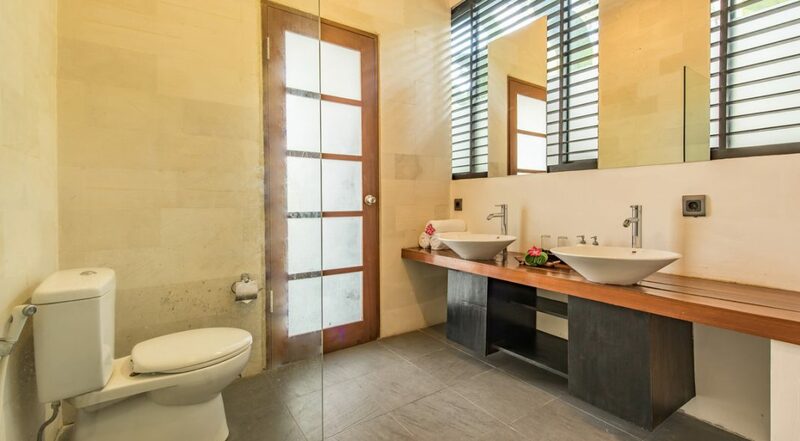 We come to Bali regularly with our 2 children and as such are always on the look our for a real bargain. 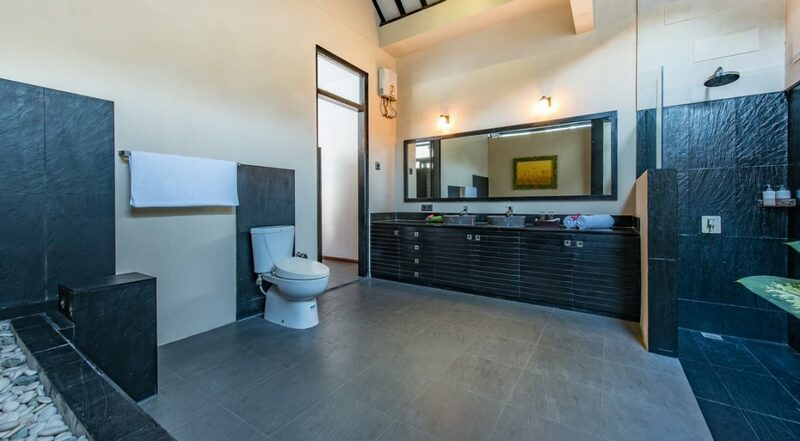 I think we have found it with Villa Daria. 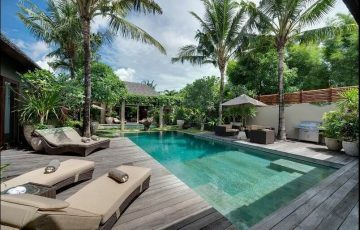 We know Bali really well and know what to look out for in terms of accommodation and what villas are good and what are ordinary. 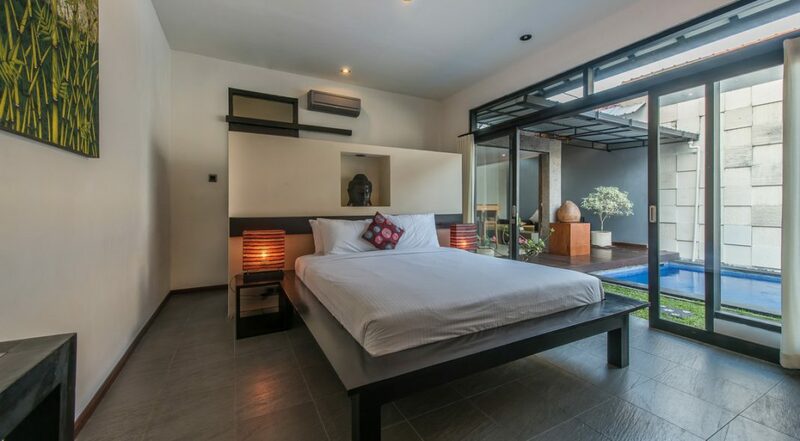 Trust me when I tell you that this is a good villa. 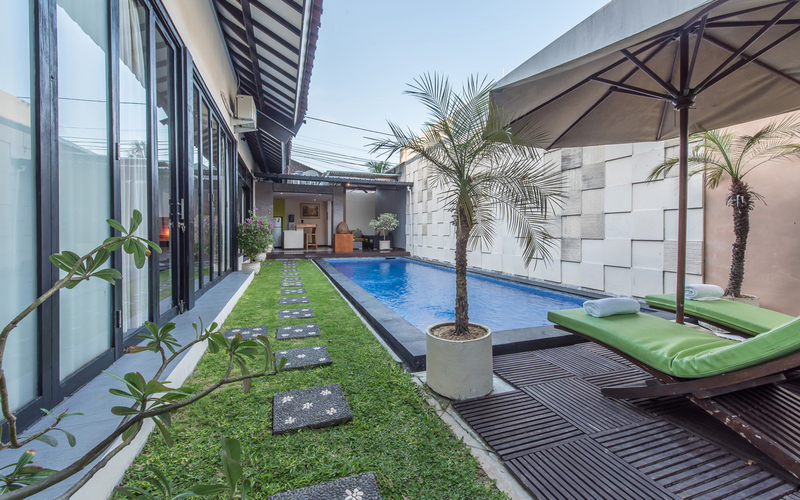 Great location, modern facilities and very well priced. Its a real winner!! 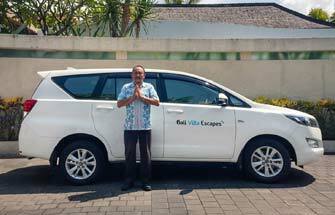 Let me start by saying a massive thanks to Dewi and Ina at Bali Villa Escapes for making sure we got this villa at the last moment. You guys are great!! Love the place and the kids had a fabulous time. Thanks for picking us up at the airport as well. Can't complain about a thing. It was perfect. From the moment we arrived and were met by the staff to the day we left this was our little oasis. We have 1 small toddler so it great for us as we could take him easily to so many restaurants close by. Pool was also nice and it was lovely to just spend time sitting around, reading and enjoying the fact that we were in our own private villa. What a great location - it was actually much better than we were expecting. So many great places to eat and all those wonderful cafes nearby. Plus Double Six beach was literally 5 minutes away by taxi. Thx to the staff at Daria for making this trip so special.